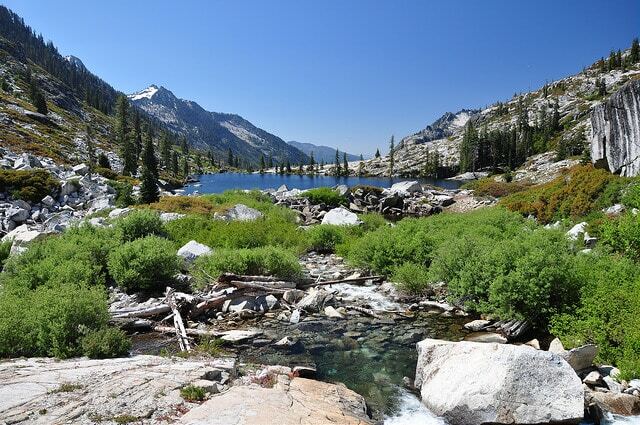 Known for the beauty of their dramatic colors the Trinity Alps stay true to their name. Gorgeous lakes nestled in lush hillsides create the trip of a lifetime for those who dare to adventure up into these mountains. Day One: Arrive at first pick up location at 9:00 am. Arrive at second pick up location at 11:30 am. Stop for lunch at 12:30 pm. Camp near Junction City. Day Five: On our final day we will pack up, enjoy a hearty breakfast, hike out and depart. Thank you for guiding us on an unforgettable mothers day hike! Don’t see the hike for you? Request a custom tour here.